How can you be the best answer for your customers with content and SEO? What’s the best way to use SEO data to inform content and influencer selection? Join TopRank Marketing chief executive Lee Odden and learn how and why delivering “best answer” content is more important than ever, on Wednesday, October 3 from 12:15 to 1:15 p.m. Central. 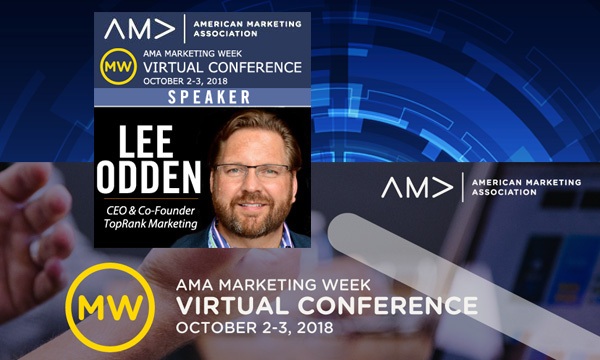 Lee is a featured speaker during the American Marketing Association Digital Marketing Virtual Conference, where he’ll be sharing his latest insight on Best Answer Content Strategy, SEO-Driven Content Planning and Best Practices for developing Power Pages.